Southeast Alaska contains the second most shipwrecks of any area of the state. For the purposes of this site it includes everything north of the Canadian Border in Dixon Entrance all the way NW to the northern entrance of Cape Spencer. I use NOAA Chart 16016 as the primary charting tool. The locations of each wreck, given in longitude and latitude, are of the geographic feature nearest the loss, not of the wrecks themselves. I will leave that to those who visit the actual areas and seek out evidence of the casualties. I am posting the vessel names alphabetically and putting the links here as I have completed the first listings of each letter. There is an opportunity to comment at the end of each. this is a great resource thanks for all your work how long did this data base take to build? Wow, you are putting a lot of work into this. Thank you; it’s really a public service. I will be checking back and browsing around a lot more. Any wrecks in/near Grindall Bay located at the so. end of the Kassan Penninsula, Prince of Wales Is. NW of Ketchikan? My maps are incomplete, but I have identified a few wrecks in that vicinity. They are : the scow Skip lost in 1906 off the mine at Mount Andrew, the sloop Nymph lost off the settlement of Hadley in Lyman Anchorage, the Freyea lost in 1918 near the Hadley Settlement, the Francis R lost in 1920 off Lyman Point, the fishing vessel Vis lost in 1925 off of Kasaan Island, the fishing vessel Laura lost in 1930 off of Grindall Point and the cannery tender Alaska Chief lost off of Grindall Island in 1938. 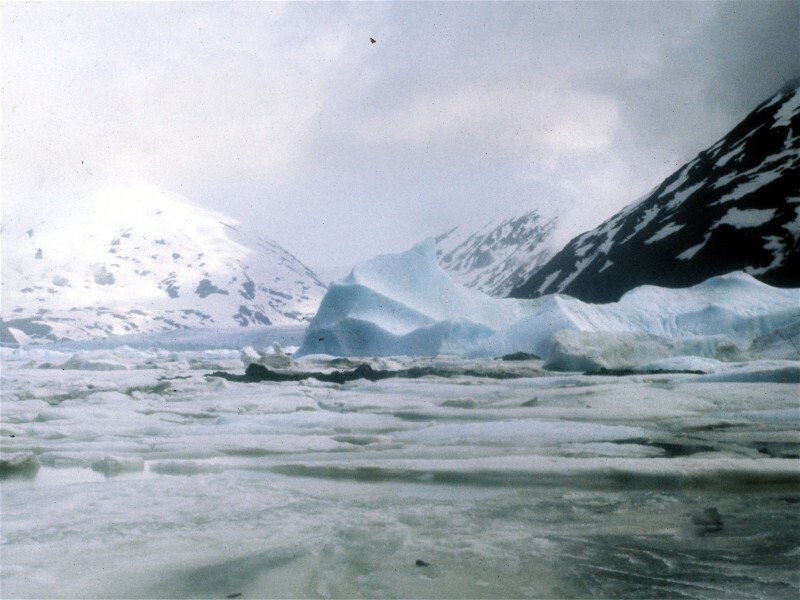 Four crewmen were lost with the Alaska Chief. There are several more wrecks up in Kasaan Bay. How many of these wrecks have been seen by divers and actually found? Shipwrecks that are shallow enough to be seen by divers are generally salvaged. That is if the cost of salvage does not exceed the value of the lost vessel. Most wrecks are in areas that are inaccessible to divers and inhospitable to salvage efforts. Many wrecks are never located because there were no survivors to tell where the disaster took place. Also the hostile marine environment of Alaska can destroy any evidence of a wreck in just a few years. A search of “found Alaska Shipwrecks” on the internet will give you some of the many wrecks that survived the test of time and have been located. Another productive search would be “Alaska Marine Archaeology”. we found what appears to be a catch anchor that looks really old……it is around 6′ high and quite heavy..not sure if there is any value to a find like this…I can give the location or if there is a way to find out where it might have come from..any info would be appreciated…. The best people to contact for such a find would be the Alaska State Office of History and Archaeology if the find is along Alaska’s coast. If at all possible it is important to get an exact orientation of the anchor before it is disturbed. An anchor left behind is often the beginning of a shipwreck and the orientation is an indicator of the wind direction and the direction the vessel in distress has taken when the anchor broke free. You could compare the lay of the anchor to skid marks in an auto accident. If you remove the skid marks you may have made it more difficult to find a missing wreck. Of course only a small percentage of lost anchors have associated ship wrecks. I have thousands of accidents recorded where vessels lost anchors, piled up on the rocks and then re-floated themselves and moved on. I can do a location specific search for you if you would like, to see if there were any missing vessels in the area or anchor loss incidents in my records. I sunk trapped inside the F/V Myrtle D in Cross Sound in 1997, yes I went to the bottom of the ocean before I got out. The bow stem and about ten planks and foredeck washed up on George Island although I did not find it until ten years later. And are still there. Congratulations on surviving a shipwreck and the after effects. Cross Sound can be very contrary. There have been many misfortunes in the area that you mentioned near Cape Cross. Losses near there include the Dixie in 1950, Skylo in 1988, Webster No IV in 1941 and Sonia in 1993. The wreck in front of Deer Harbor may have washed in from the Gulf. Without more information or pictures I can only speculate. You can email pictures and contact me directly at alaskashipwreck@aol.com. If you ever want to tell your story, I would love to hear it. Thanks for posting and Smooth Sailing. I have found indications of wrecks that go back to the 18th century in Alaska also. Uncharted waters, capricious weather and countless other hazards met the bold explorers and adventurers of those times. There have been many vessel losses in that area over the years. It would be helpful to know a rough idea of size (20 or 200 feet? ), do you know any names of people and if there was any loss of life that you are aware of. There was a 20 foot red fiberglass boat found in Saint James Bay in 2000, but that is the only wreck in my records that mentions that Bay. There are many wrecks in Lynn Canal. Here are some from the 1940’s. In February of 1944 the 32 foot scow A C C #50 burned in Lynn Canal; August 17, 1948 the 36 foot wooden fishing vessel Dell was destroyed by fire opposite the Chilkat River near Haines; and March 5, 1943 the gas boat Highway was lost while towing the barge Mercer #1 near Ralston Island with the loss of six or seven crewmembers. The Highway is the most promising of these three because the wreckage was found just outside of Saint James Bay. I was on a small king crabber in 1965-1966 The Sea Breeze II with Billy Williams and Don Smith (both from Newport, Oregon at the time), *Later I worked on the Selief until I got my draft notice. Thanks for sharing your story. I think the boat you were on was owned by Bill Hall and was a wood 48 foot WWII era vessel call sign WB2617. There were 51 vessels lost in 1965 and 46 lost in 1966 that I have records from. Many of the records I have are far from complete but two vessels stand out as possibly the one you have mentioned. December 18, 1965 the 89 foot wooden crabber Ronnie M disappeared between Juneau and Kodiak with at least 5 people on board. Two months later February 25, 1966 the 100 foot wooden crabber Sun Beam disappeared near Kodiak coming from Seattle with freight on board. The Sun Beam did get out a radio call to the Endeavor and mentioned experiencing difficulties and bad weather. There were at least 5 aboard the Sun Beam as well. The records I use are very incomplete from about 1964 to 1972 but I am slowly filling in details by searching newspaper records. If you can remember any other particulars it would be very helpful. Were you still fishing crab or were you finishing a season? Was it Kings or Tanners? Kings used to be fished going into winter (Sept to Dec) and tanners at the end of winter after the first of the year. By the way, I fished alongside the Selief when Glen Evans had it back in the 1970’s. That boat really has a history. drop me a line at my first name at my last name dot com (seriously, I have my own domain 🙂 I would like to talk to you about the Sea Breeze II, I believe it was owned by my grandfather, Uno “Skeets” Pykonen, previous to Bill Hall. Would love to compare notes about fishing out of Newport. He also had Sea Breeze and Shirley Lee. Great job on the Alaska Magazine article and this web site. Just an FYI. My wife was born and raised in Juneau and was present when the Princess Kathleen hit the point at Lena Point in 1952. We have a 16mm film of the Princess her father took as it’s bow was resting on the rocks but the camera ran out of film just before she slipped off the rocks on the way to her watery grave. I don’t know anything about an Alaska Magazine article. I did an interview with the editor from the Kodiak Daily Mirror and he mentioned he was trying to get some of what we discussed put in the magazine. Your 16mm film needs to be preserved and digitized. It is a piece of Alaska history and I would expect has a substantial value. Smooth Sailing..
Get yourself a copy of the June 2015 Alaska Magazine and you will be pleased. I’ve received this magazine since the 60’s and can say this article is one of the top drawer stories I’ve read. Glad I was able to bring to your attention. Pages 60 thru 67 are excellent in content. A clarification to my first message on the subject, my wife, her two brothers and father arrived at the grounding site shortly after the event. They owned a summer cabin on the water within a mile of Lena Point. How do I go about finding a fishing boat call Moira Belle.. The story is the person took is someplace outside of Ketchikan area and it sunk sometime in the up to middle 1970.. I have searched the United States Merchant Vessels Lists back to WW II and did not find a vessel registered with the name Moira Belle. Is it possible that there is a different spelling or that they were registered in British Columbia? More specific information would be very helpful. There was a vessel registered to a Carl L Dudler in 1950 called the C M G. It was built at Ketchikan in 1949 of wood and was 39.5 feet long. The Official Number or Hull Number is 257565. Tonnage is 14 gross 10 net, breadth 11.5, depth 5, 140 hp. At some point a radio was added with call sign WM5355. Carl L Dudler was still listed as the owner in 1979. I can’t find any registration of this vessel for any Alaska fisheries, but the U S Coast Guard still lists it as active. I think that just means no one has told them it is not around any more. Oh I want to say Thank you for helping me and this was my cousin.. I know what had happen to him and his boat.. And all I can say it will not be updated… Do think that the Coast Guard will give me a copy because he is not around anymore…. Contact the Coast Guard and they will probably have someone that can help you. Great website! I’m researching where I grew up in Lutak Inlet, at the north end of Lynn Canal and am curious about an old wreck there. 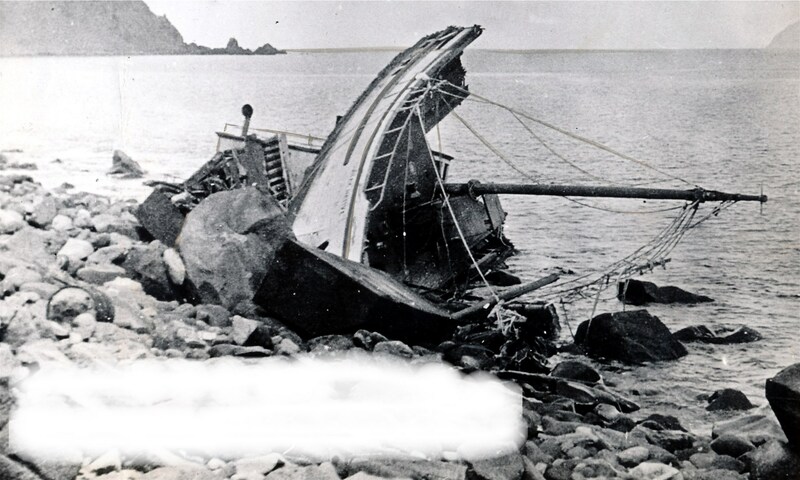 I remember remains of an old barge (mostly just the deck and parts of the frame) that sat on the beach of a place called Tayasanka Harbor, and as a kid the wreck was pretty captivating, but no one seemed to know anything about it. I later assumed it had something to do with the cannery work that used to exist there, but I would love to know if there’s a recorded story about it. Thanks! The only wrecks I can find that mention Taiyasanka are the Haida Maid in 1958 and the City of Astoria in 1898. The City of Astoria was towing a barge when she ran aground out near there. The barge may have been abandoned also. It would require further research. Thanks for replying! It will be something interesting to look into. I’m researching the remains of a shipwreck (part of the deck) made of 12×12, 12×16, 11×10 fir beams and steel pins from 1 to 5 feet in length. The decks are held together, underneath, with huge turnbuckles. Plywood is used between the fir decking on what I think is the poop deck, between a forward and after hold. The ship had to have been over 100 feet in length, possibly over 200 feet. The location is Lemesurier Point in Union Bay. Have you found any wrecks that would fit this description? Nothing I see in my records puts a large wreck in that immediate area. The plywood or laminate, steel pins and style of deck construction should give an approximate date of the vessel’s construction. If only a deck is present, it may indicate that it drifted in, which would open the possibility that it came from one of the many wrecks in Ernest Sound and Clarence Strait. There have only been a few vessels of the size you have indicated though. A fun mystery. First, why don’t you have charts somewhere that show where the wrecks are located? When I began fishing in Southeast in 1980, I recall an Inside Passage chart book that had the location of most of the wrecks in Southeast, and I’m sure it could be extended to other areas of Alaska. Secondly, when do you plan to add ships that went down after 1940? I was trying to do some research on the sinking of the Crabber Oceanic off Spruce Island and (I guess of course) couldn’t find anything. I hope you endeavor to finish your project as it is a valuable resource for those of us interested in this sort of thing. The sections of this website that deal with Alaska Shipwrecks by Area has wrecks by area up to 1940. The alphabetical part of the site includes wrecks up until 2011 and sometimes more modern disasters. There is information on over 3,700 that I have been able to find including two vessels by the name of Oceanic. Neither of those is listed as a crabber. If you can give me a rough idea of the year the Oceanic was lost, I can research it and provide you with what I find. looking for your hardcover book, LuLu says not available ???? please let me know how to get a copy. It is out of print and I am in the final stages of posting the new edition. Should only be a few days.